The amount spent on schools is a source of frequent controversy. So, where does all the money for educating the country’s children go? 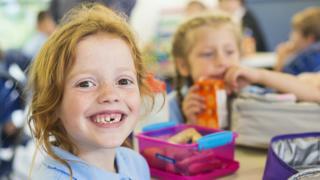 School spending is watched closely – as Chancellor Philip Hammond recently discovered when his announcement of £400m for teachers to spend on “little extras” was met with anger. It is a fact that the amount spent on education is much higher than it was 20 years ago. But that’s not the full picture in a country which has seen a population boom coincide with a squeeze on public finances. 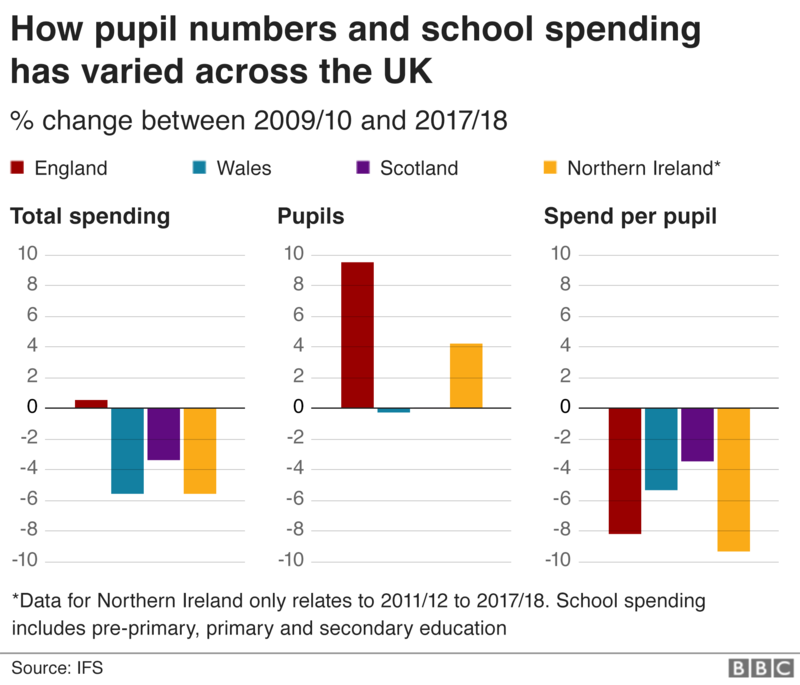 Spending per pupil is actually lower than it was in 2010 in today’s prices – as is the case across the UK. 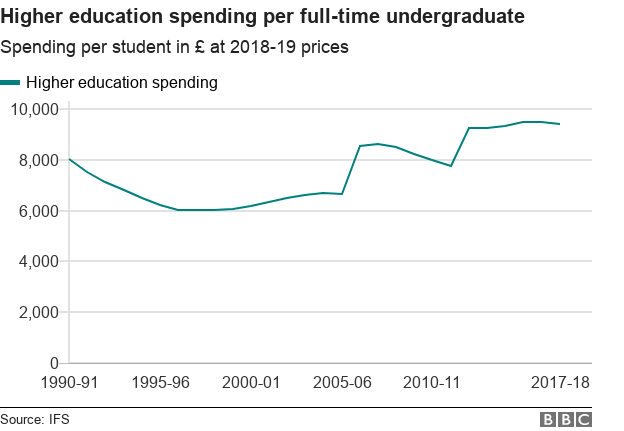 All in, the education of young people in England who turned 21 in 2015 cost an average of about £73,000 – more for those who went to university. And since 2017, all working parents in England have been allowed 30 hours a week, although this is not always available and there has been criticism of nurseries adding “extras”. 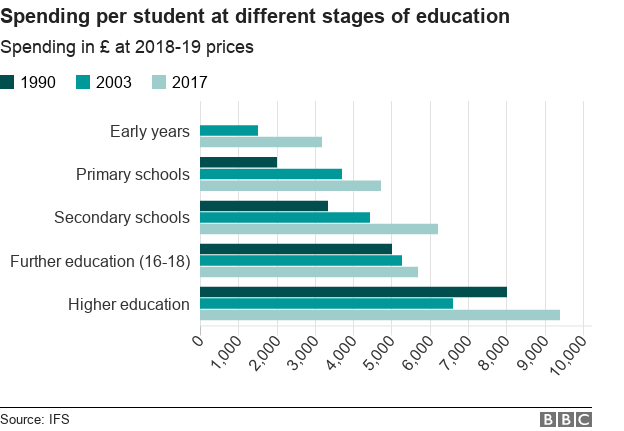 The expansion of free childcare has seen spending per child double between 2004 and 2017, from £1,600 to £3,200 in today’s prices. 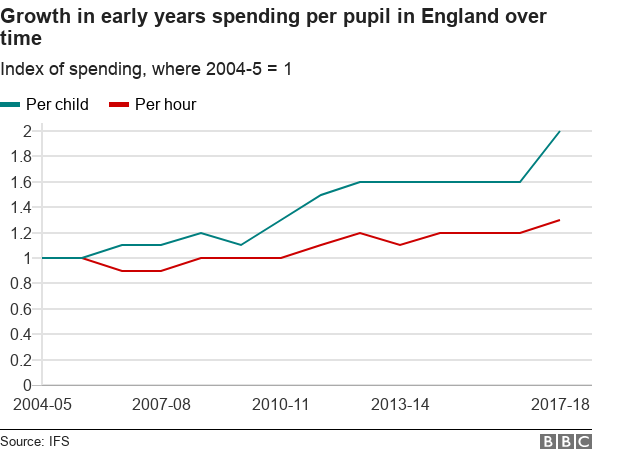 Day-to-day spending on schools in England was £42bn in 2017-18 – about the same as in 2009-10, after accounting for inflation. However, over this time the number of schoolchildren has grown by 700,000 – more than the population of a city like Sheffield. 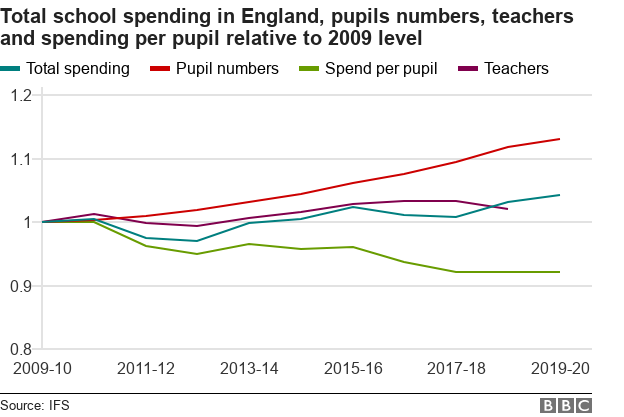 As a result, spending per pupil has fallen 8% in real terms since 2009-10. It is now due to be frozen until 2019-20. 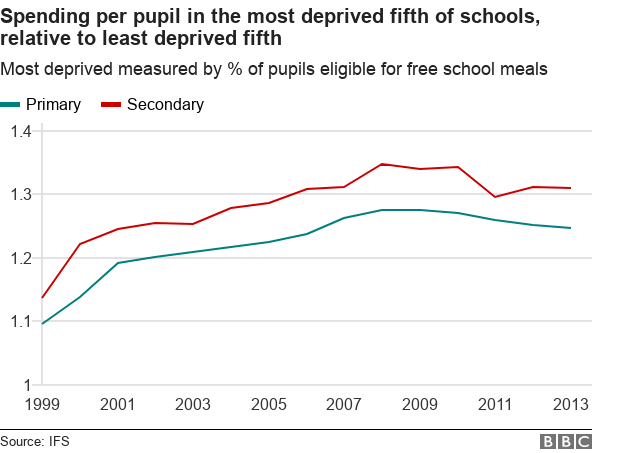 Schools with a high proportion of children from deprived backgrounds – those eligible for free school meals – receive more money per pupil than others. A larger share – 35% at secondary school and nearly 50% at primary schools – was spent on teaching assistants and non-teaching staff. The number of young people continuing in full-time education after the age of 16 has more than doubled – from four out of 10 in the mid-1980s to eight out of 10 now. This is largely because young people in England now have to continue in education or training until they are 18. 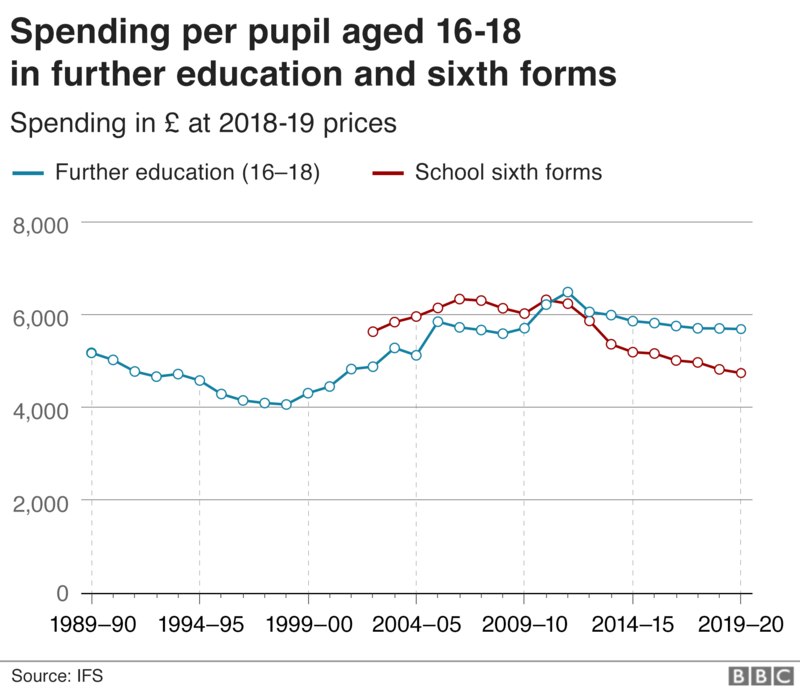 Among sixth formers the amount available for each pupil has fallen 20% in real terms, from £6,300 a year in 2010 to £5,000 in 2017 – lower than at any point since at least 2002. Over the long run, the cost to government is lowered as student loans are repaid, with graduates paying more if they earn more. However, most graduates won’t repay all of their student loans by the time they are cancelled after 30 years – amounting to a government subsidy for graduates. There have been big changes over the past 20 years. Luke Sibieta is a Research Fellow at the Institute for Fiscal Studies, an independent research institute that aims to inform public debate on economics.